League Two leaders Wycombe Wanderers have signed midfielder Marcus Bean following his release by Colchester. The 31-year-old, who was recently on loan at Portsmouth, has agreed an 18-month deal with the Chairboys. "I know him well from my QPR days and I've watched his career progress ever since," Wycombe boss Gareth Ainsworth told the club website. "He wins headers, he wins tackles and he's a great lad who will fit right in to the culture we've got here." Bean began his career at QPR, making 76 appearances for the west London career, before moving on to Blackpool and Brentford. 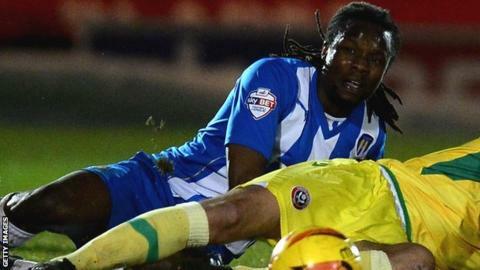 He joined Colchester in 2012, but manager Tony Humes confirmed in November that he was willing to let him leave. Bean could make his Wycombe debut in Saturday's home game against York City.